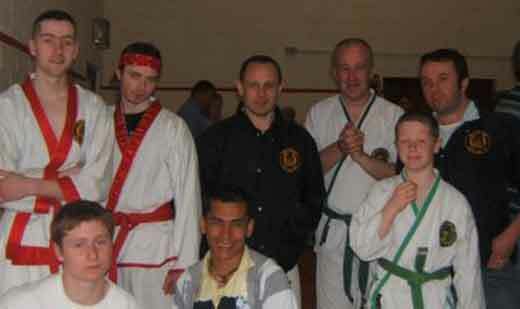 Although not the biggest team at the event all members of the team did remarkably well with red belt William Tobin winning 1st Place in his forms division & 3rd in his sparring division, Dave Meaney coming 3rd overall in the Green Belt Sparring division and 2nd in the Veterans ( over 35) division and his son James 2nd place in the Kids forms division. Team also won 2nd Place in the Senior Black Belt forms division. Also congratulation to Liam O'Donnell, this was Liams first time travelling to such a big event, Liam showed remarkable spirit and competed very well. Congratulations to all members of the team. Finally, special thanks to Mr Trevor Fradgley & all at White Dragon Martial Arts for once again hosting a very enjoyable day.